Gigamix Vol.1 sets the stage with an exciting outer space adventure, where Mega Man faces off against the Robot Masters of Mega Man® 3, as well as the gigantic Gamma robot! The space setting of this tale acts as a prelude to Gigamix Vol.2 & 3, where all robots good and evil alike must join forces to defend the Earth from the ultra-powerful Stardroids! This two-part epic features every single Robot Master from the first eight Mega Man® games, plus fan favorites like Bass, Treble, Proto Man, Duo, Rush, Beat, Roll, Dr. Wily, Dr. Cossack, Dr. Light, and of course the blue bomber himself – Mega Man! All together, Gigamix is over 600 pages of pulse pounding Mega Man action that no fan will want to miss out on! 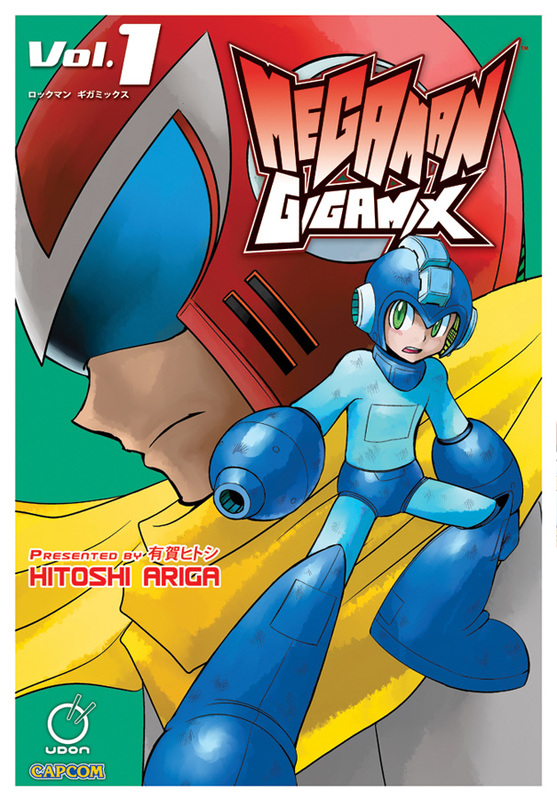 Mega Man Gigamix Vol.1 arrives in stores May 4, 2011.